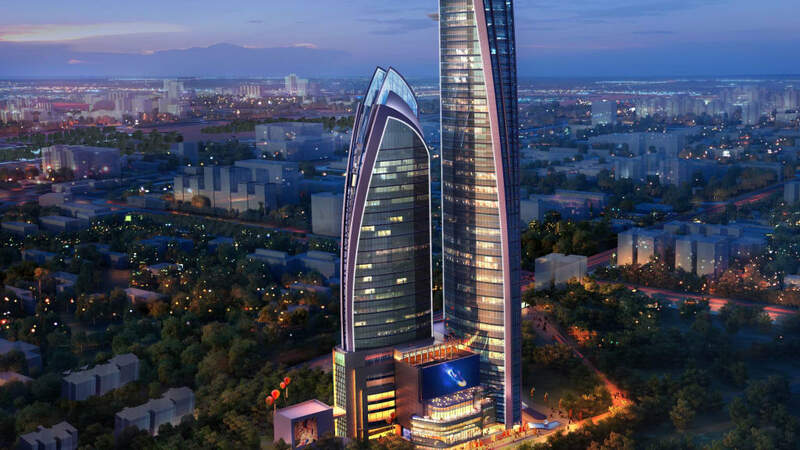 The number of local and international investors looking to invest in Africa’s tallest building – the Pinnacle Towers – is growing as the project takes shape, project developers have said. Giving an update on the project, Mr Mokase Monono, the Operations and Project Manager for the Pinnacle Towers, said the project had attracted a great deal of interest from investors, especially those seeking for a ‘certain level of luxury and technology’. “We’ve had more demand than challenges and we have received a lot more interests from investors some of whom we have turned down,” said Mr Monono. Combining indulgent luxury with high-end commerce and distinctive architectural design, the Pinnacle is an exquisite mixed-use development at the heart of Upper Hill, Nairobi’s fast growing business and financial hub. Backed by the Dubai-based project developers, White Lotus Group and Hass Petroleum of Nairobi, consists of two adjacent towers. The shorter tower, at 45 floors will house the 255-room, five-star Upper Hill Hilton Hotel, the third Hilton franchise in Nairobi and the 50th on the African continent. The taller tower, with 70 floors, will feature eleven floors of commercial office space, nine floors of upscale rental retail space and 209 upscale 1, 2 and 3-bedroom, serviced residential apartments. Other amenities include conference facilities, a gymnasium, luxury spa and an infinity pool. The taller tower will have a roof-top helipad. The $200 million (Ksh20 billion) project has LEED features which will include water management through recycling and harvesting and energy management mechanism. LEED projects earn points across nine basic areas that address key aspects of green buildings. They include integrative process, location and transportation, sustainable sites, water efficiency, energy & atmosphere, materials and resources, indoor environmental quality and innovation.